The authors believe that, like there are laws of nature, there are also laws of marketing. After studying marketing principles and problems, they have distilled their findings into basic laws that govern success and failure. 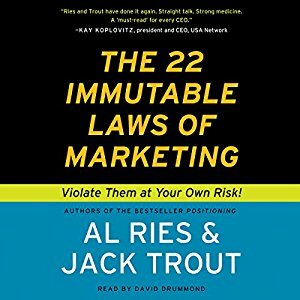 They call them the Immutable Laws of Marketing and there are 22 of them. Click here for a brief summary of them all and then a closer look at just two. PrevPreviousIt’s hard to change HCP habits!